Many San Francisco Giants fans were crushed when news broke out that former closer Brian Wilson had signed with the rival Los Angeles Dodgers. Wilson was a hero for the Giants during their 2010 postseason run, but he was not a part of their 2012 World Series win. He had Tommy John surgery in April 2012, and at the end of the season, the Giants didn’t tender him a contract. The Giants would’ve had to pay him about $6.5 million, which would’ve been a considerable amount given the uncertainty of his health after such a serious surgery. He hadn’t signed with another team in 2013, because he was rehabbing in Hawaii for a while. Also, many executives were more concerned about his “act” or attitude than if his arm would return to full strength. After pitching in a private session with Dave Righetti and then in two open tryouts this past Thursday and Saturday, Wilson was hoping to sign with a contender for the remainder of the season, in order to try to sign a longer contract in the offseason. By signing a contract for just six to eight weeks with the Dodgers, his “act” is less of a concern to executives. However, he probably enjoys being in the spotlight again. The added publicity he will get by joining his former team’s rival has got to please him too. Instead of reliving the past and being mad at Wilson, Giants fans need to get over him. They need to move on from Wilson, not just because he didn’t re-sign with the Giants, but also because he’s not worth mourning over. Yes, Wilson had some incredible performances for the Giants in 2010. He had a 1.81 ERA, 48 saves, and 93 strikeouts in 74.2 innings. In the postseason in 2010, he had a 0.00 ERA, 6 saves, and 16 strikeouts in 11.2 innings. Giants fans can commend him for his stellar performances in 2010, but they should get over him because of his personality and actions off the field. It started with the beard. 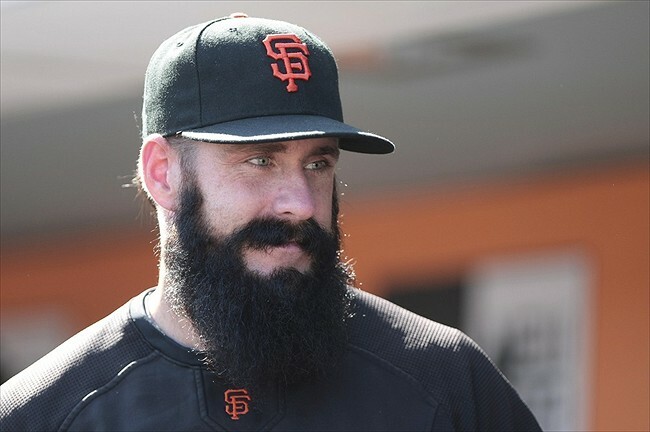 Wilson decided to grow out a beard during the 2010 season and said he wouldn’t shave it until the Giants won the World Series. He also was dyeing it, which made him look especially radical. This was the beginning of the media craze for Wilson. Even today, Wilson continues to have the full-bodied, ridiculous beard. He can’t let go of the beard, and doesn’t want to let go of it, because he knows the beard is what distinguishes him from other baseball players and gives him more attention in the media. The beard was a funny, marketable “act” by Wilson in the past. Now, it’s just another example of how he wants to hold on to anything that will keep him in the spotlight and keep him relevant. It’s quite sad and idiotic, to be honest. He also loved being on TV, of course, so he could showcase how cool he was. He had his own reality TV show called “Life of Brian,” which seemed very contrived. Big surprise. It was clear that Wilson enjoyed the spotlight and would do anything to stay in it. For example, he also wore a sea captain costume on The George Lopez show. This was the point where his antics started becoming concerning, in the sense that he was clearly focused on chasing fame. Then there was “The Machine.” On an episode of The Cheap Seats, Wilson had a man, called the “Machine,” walk behind him in leather fetish apparel. Not only was this bizarre and slightly creepy, it was just annoyingly dumb. Wilson was more focused on trying to be funny and getting attention than talking about baseball. One of the last straws for his insanity was when he wore the famous spandex tuxedo to the 2011 ESPY Awards. His outfit went a little beyond the border of eccentric and into the territory of insanity. This was no longer a funny “act” for Wilson. He started living this selfish, media-hungry lifestyle, and this was the beginning of the end for Wilson and his credibility as a MLB closer. Also in July 2011, he showed more than just an intensity, but, instead, a lack of anger management and professionalism. Wilson blew a save against the Detroit Tigers, and, once he got back to the dugout, he threw a Gatorade cooler in frustration. It didn’t stop there though. He then proceeded to take a bat and hit the cooler repeatedly and forcefully. Athletes are allowed to take their anger out while playing their respective sport, but reaching a destructive level is wildly unprofessional. In another display of his unprofessionalism, Wilson lied to the team in 2012 when he injured his elbow. At the beginning of the 2012 season in a game against the Colorado Rockies, Wilson didn’t want to leave a game after he knew he injured his elbow, so, instead, he told the training staff that he turned his ankle and was fine. Pitchers have lied before about their health so they can continue to contribute to their team, but, often, they become a detriment. Wilson chose to lie in order to protect his image and his place on the team. 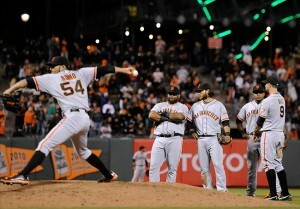 Sergio Romo had shown his dominance in a late-inning role, so Wilson had to protect his job and his potential loss of fame. While rehabbing from surgery, he decided to stay with the team as much as possible. This wasn’t necessarily an act of consideration towards his teammates; it was an opportunity to get more of the spotlight. Even though he wasn’t pitching, the media loved showing him during games and how “hilarious” he was. “That guy’s got one hell of an act, man,” Dennis Eckersley once said about Wilson. Wilson has always been focused on himself and his “act.” At the beginning of this season, the Giants invited him to their World Series ring ceremony, but Wilson never responded to them. He clearly was still bitter about them not tendering his contract. Besides that though, as an adult, he should’ve been able to put his childish feelings aside and celebrate with his ex-teammates. As an athlete, he should’ve respected the fans and their passion by showing up. On the other hand, the ring ceremony was celebrating what the Giants had accomplished in 2012, without him. Since the ceremony was not completely centered around him, it makes sense why he didn’t care to attend or even respond. Wilson was most likely scripted while tweeting how grateful he was to the Giants fans after he signed with the Dodgers. He claims they made a significant impact on his life, yet, he hadn’t publicly acknowledged them in a long time. How ironic. The Giants monitored his progress during this season, but there never seemed to be a great amount of interest in bringing him back. The scouts that attended his tryouts said he had fairly good command of his pitches, and he was topping out at 94 MPH. Given these positive comments, there must’ve been a reason why the Giants did not extend Wilson an offer. The Giants simply don’t need his drama. On the field, he was incredible for the Giants in 2010. He will always be remembered as closing the game that brought the Giants their first World Series since 1954. However, the Giants have moved on. It makes sense why the they would much rather have Buster Posey, a gracious and humble role model, representing them as the face of the franchise instead of Wilson, an egocentric maniac. Now it’s time for Giants fans to move on too. This article was originally published on Let’s Go Warriors. Since Jarrett Jack signed a four-year, $25 million deal with the Cleveland Cavaliers, the Golden State Warriors and Mark Jackson will have to address who will play the majority of the minutes at the backup point guard position. 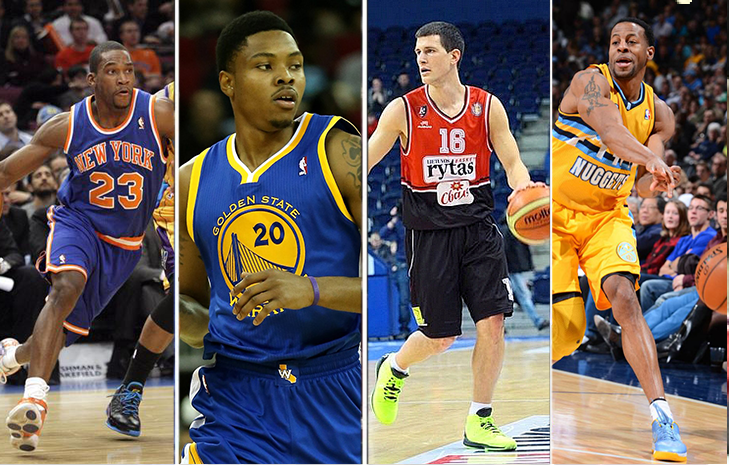 The Warriors have several possible candidates. The first is Toney Douglas, who the Warriors signed as a free agent. Douglas is a quality defender who is quick, gets deflections, gets steals, and strongly pressures the ball. He’s also a decent three-point shooter. Last season, he shot 38.9 percent from three, matching a career-high. The second option is Kent Bazemore, who was excellent in the 2013 Las Vegas Summer League and was named to the All-Summer League Team after averaging 18.4 points, 4.6 rebounds, and 3.1 assists in seven games. Bazemore’s strongest asset is his defense. He needs to prove that he can become more of a scorer and a better decision-maker as a point guard. The third option is Nemanja Nedovic, who was selected with the 30th overall pick in this year’s draft. He officially signed with the Warriors after reaching a buyout agreement with his current team, Lietuvos Rytas of the Lithuanian A League. Nedovic is athletic, quick, and aggressive. He’s not afraid to attack the rim, and he’s excellent in the open court. He’s also a decent three-point shooter. He can still improve his decision-making, his defense, and his shooting. The last option is Andre Iguodala, who will most likely start at small forward, but he could see some time as the backup point forward. Iguodala is a versatile player who can play several positions. He has averaged 4.9 assists over his career. Iguodala also likes to drive to the basket, so, as a point forward, he could help the Warriors in drive-and-kick situations. Both Joe Lacob and Jackson have discussed how Iguodala can fill many roles for the Warriors. He probably won’t be the primary backup point guard though. Jackson also saw Nedovic play in a couple of the Warriors’ practices during Summer League and liked what he saw. “He’s a guy that can run a team, has a great feel for the game, and has a bright future, so we’re excited about having the opportunity of having here moving forward,” Jackson said about Nedovic. When asked if Bazemore will earn more minutes this upcoming season because of his play in Summer League, Jackson mentioned that he admires how Bazemore continues to improve, works extremely hard, and stays ready. However, it didn’t sound like Jackson was quite ready to give him significant minutes at the backup point guard position. Based on what Jackson said, it seems like Douglas will play the majority of the minutes at the backup point guard position. Jackson and Lacob have to admire Douglas’ effectiveness on defense and his experience in this league, which will be significant assets off the bench. The Warriors’ rotation and minutes will most likely be determined in training camp and in the preseason, but, as of now, Douglas is the Warriors’ backup point guard. 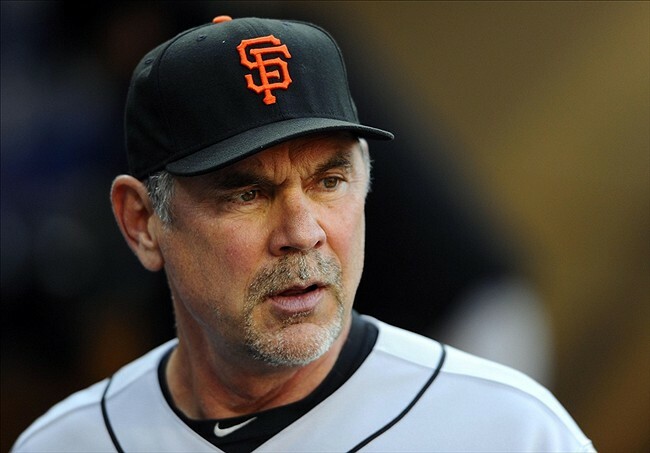 San Francisco Giants: Are Bruce Bochy and Brian Sabean Given Too Much Credit? After winning two World Series titles in the past three years, the San Francisco Giants are having a disappointing 2013 season. The Giants are seeing why it is so difficult for reigning World Series champions to win the World Series again the next year. In 2011, the Giants had an excuse for why they weren’t able to repeat as champions. Buster Posey suffered a gruesome left ankle injury in May of 2011 and was out for the rest of the season. This season though, the Giants have an almost identical roster as last season’s championship team. 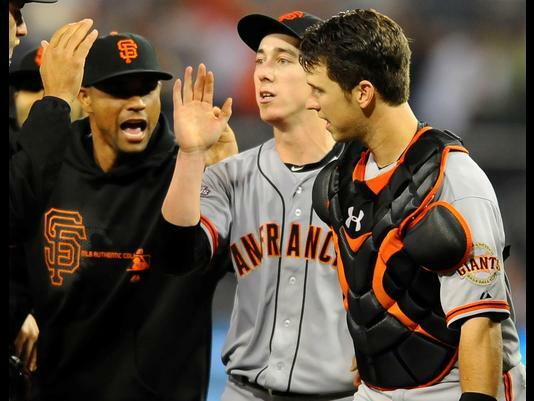 Yes, there have been some injuries to key players such as Angel Pagan and Ryan Vogelsong, but this isn’t the main reason why the Giants are struggling. The Giants have been inconsistent all season. Right now, they are consistently bad. They are a season-high 12 games below .500 and have a 46-58 record. They also are 10 games out of first place and fifth in the NL West. So have Bruce Bochy and Brian Sabean been given too much credit for constructing and developing this team that’s played so horrible this season? The simple answer is no. Despite the team’s struggles this season, Bochy and Sabean have found the winning formula. The team just hasn’t displayed it this season. The Giants have done so well in the past few seasons because they have followed the general formula for success in baseball: pitching wins championships. The Giants have had stellar starting pitching and relief pitching the past few seasons. With quality pitching, it takes some pressure off the offense, because it allows hitters to play more naturally and not grind too hard to get hits. If the starting pitcher is struggling, players feel more pressure on defense too to limit the damage the starter caused. The Giants haven’t been known for their high-powered offense in the past couple seasons, so their starting pitching carried them. If the Giants were only able to score a run or two, they knew they could still win the game behind a quality outing from their starter. This hasn’t been the case for the Giants this season though. Bochy and Sabean brought back the same starting rotation from last season’s World Series run: Matt Cain, Madison Bumgarner, Tim Lincecum, Barry Zito, and Vogelsong. Cain has struggled with command all season, and he’s supposedly not dealing with any hidden injuries. Bumgarner has been the most consistent starter. Lincecum, despite throwing a no-hitter recently, has also been inconsistent, even though he has been pitching better in the past couple months. Zito has been good at home, but, on the road, he is a completely different pitcher with a sky-high ERA. Vogelsong has been out with a right hand injury since May, but he started to show improvements in his command in the start where he got injured. There’s no way that Bochy and Sabean could’ve predicted these types of struggles. In fact, no one predicted that Cain would be as inconsistent as he’s been. Lincecum and Zito’s struggles might have been predictable, but Bochy and Sabean weren’t going to trade them or demote them after some incredible pitching performances in last season’s playoffs. Of course, Vogelsong’s injury couldn’t have been predicted either. Because of the inconsistent starting pitching, the Giants’ offense has felt more pressure to score more runs, especially recently. In the month of July, the Giants are hitting .230, which ranks last in the NL. Posey has had a fantastic season so far, but as of now, he hasn’t gotten a hit in his last 18 at-bats. Defensively, the Giants are one of the worst teams in the league, which probably can be connected to the team’s poor starting pitching, as mentioned before. The Giants have 76 errors so far this season, which ranks second-to-last in all of MLB. Given all these problems, some fans have criticized Sabean for not being active enough at the trade deadline. Right now, with the Giants struggling as much as they are, they don’t even really have the option to be buyers. The Giants haven’t been playing well enough to be able to score a deal (other teams could be wary of the Giants’ struggles or raise the price due to their desperation). Some fans say that the Giants need to be sellers at the trade deadline. This past homestand was a key part of the Giants’ schedule, and they went 3-7. This might be the time that Sabean should concede the season and starting building for next season. With Lincecum and Zito becoming free agents at the end of this season (Vogelsong has a team option for next season), the Giants need to address their need for a starting pitcher soon. The Giants don’t have many starting pitching prospects in AAA, so perhaps they can start selling some players, such as Hunter Pence or Javier Lopez, in order to start re-building their starting pitching rotation. Sabean has been questioned for some trades in the past, but in the past few years, he’s made several key trades that have allowed the Giants to be as successful as they have been. 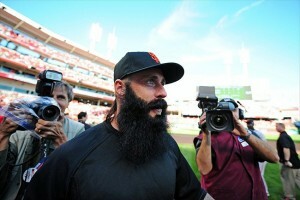 In 2010, he brought in players such as Aubrey Huff, Pat Burrell, Cody Ross, Andres Torres, Juan Uribe, and Lopez. Even though these players were outcasts and misfits, Bochy believed in them and put them in a position to succeed. In 2012, Sabean brought in Hunter Pence and Marco Scutaro. Bochy again made it possible for his players to succeed by putting them in new roles and constantly encouraging and believing in them. For example, he made Sergio Romo the closer, used Lincecum out of the bullpen, and stuck by his young players, Brandon Belt and Brandon Crawford, despite some struggles at the plate. Even though the Giants have had a disappointing season, it does not mean that Bochy and Sabean have been given too much credit for this team’s past success. They were the two masterminds behind constructing teams who won two World Series titles. The Giants have won two World Series titles in three years for a reason, and both Bochy and Sabean have played key roles. 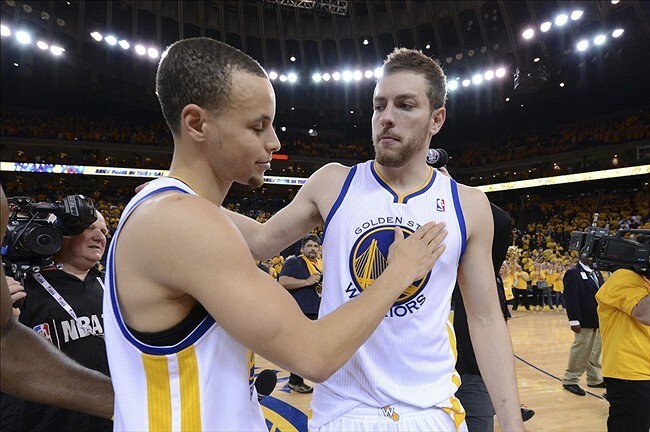 Golden State Warriors: Are They Championship Contenders? The Golden State Warriors had a breakout 2012-2013 season. The Warriors defied expectations and captivated many basketball fans around the nation with their stellar, exciting play. After their incredible playoff run last year, are the Warriors championship contenders now? They’re certainly close to becoming one of the superior teams in the Western Conference, but they’re not quite a championship contender yet. One of the reasons why is because of the immense amount of talent in the Western Conference. The Oklahoma City Thunder, San Antonio Spurs, Los Angeles Clippers, and Houston Rockets are among the elite teams in the Western Conference, and some of them could very well contend for a championship. Out of all those foes, it will be tough for the Warriors to even become one of the top-four teams in the Western Conference. Even if the Warriors are able to become Western Conference Champions, it will still be a long road to their first championship since 1975. Outside of the Western Conference, some of the biggest championship contenders are the Miami Heat, the Chicago Bulls, and the Indiana Pacers. 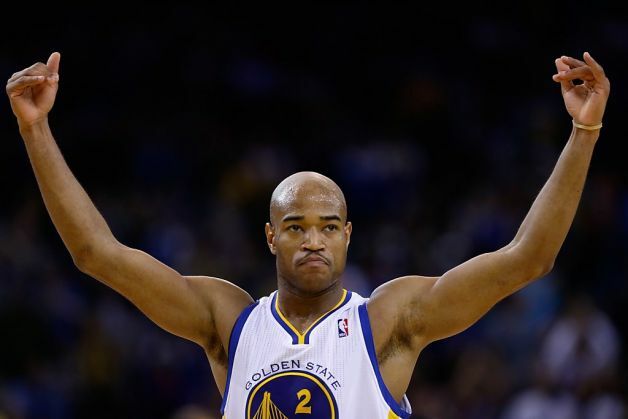 How Much Will the Warriors Miss Jarrett Jack? Despite an exciting offseason for the Golden State Warriors, they, unfortunately, weren’t able to re-sign their sixth man from last season, Jarrett Jack. The Warriors had to renounce their Bird Rights on him in order to acquire Andre Iguodala. Jack signed a four-year, $25 million deal with the Cleveland Cavaliers instead. Jack was a fan favorite. Off the court, he always had great energy, was engaging with the fans, and constantly showed his gratitude for the fans. On the court, Jack used his infectious energy and toughness effectively in the sixth-man role. Jack averaged 12.9 points and 5.6 assists in 79 games last season, and, in the postseason, he averaged 17.2 points and 4.7 assists. He also finished third in the NBA’s Sixth Man of the Year Award voting. Jack’s toughness and his ability to attack the basket provided the perfect balance to Stephen Curry’s unbelievable three-point shooting. When he played alongside Curry, he played point guard, which allowed Curry to slide over to the shooting guard position, so Curry could focus more on shooting than distributing. The Warriors will also miss Jack in clutch situations. He hit several big shots during the regular season, and, in Game 4 against the San Antonio Spurs, he converted on three big shots in a 69-second stretch late in the fourth quarter to help send the game to overtime. Jack also went 5-for-5 in the last 17 minutes of the game. Although he hit some clutch shots in the postseason, Jack also had several costly turnovers and defensive lapses. In the postseason, Jack averaged 3.2 turnovers and only 4.7 assists. In Game 1 against the Spurs when Manu Ginobili hit the game-winning three, Jack should’ve been the one to rotate over to him and contest the shot. Some other aspects of Jack’s game that Warriors fans won’t miss is his indecisiveness and bad shot selection at times. On many possessions, Jack would dribble too much and with no purpose or definite plan. Then when the shot clock was about to expire, he’d had to force a tough shot. Other times, he would put up a contested elbow jumpshot, early in the shot clock, before letting a play fully develop. These types of shots were maddening and quite reminiscent of when Monta Ellis played for the Warriors. Both Jack and Ellis showed a lack of awareness at times. They were so focused on what they could do in the possession that they would miss, for example, Curry wide open for three. Just like when Ellis was a Warrior, Jack’s type of play often took opportunities away from Curry. Although Jack played well alongside Curry most of the time, Curry will benefit more when he’s able to play alongside Iguodala. First of all, Iguodala is expected to play some minutes as a point forward, which will allow Curry to play off the ball again. Iguodala is a much better decision maker than Jack, and since he drives to the basket more than Jack did, he will draw more attention from the defense, which will free up Curry for threes. Second of all, if Curry is having trouble hitting big shots, Iguodala is a viable option in the clutch. The Warriors have several players who can pick up the slack at the backup point guard position. Although Toney Douglas and Kent Bazemore aren’t quite the scorers that Jack was, they’re much better defenders. Nemanja Nedovic isn’t known for his defense, but he is much more athletic than Jack, so he can get to the rim much more easily. Even though Jack was a valuable asset to the team last season, the Warriors made up for his loss with other players who can collectively bring similar, or better, skills. The Warriors wouldn’t have had as successful a season without Jack, but they are still equipped to make another strong playoff run without him. 1. Both Iguodala and Barnes have similar skillsets, so Iguodala will be a valuable mentor to Barnes, especially defensively. Both Iguodala and Barnes are strong, athletic, and quick. Offensively, they play fairly similarly. They both like to drive to the basket using their quickness, they’re both explosive, and they can shoot threes pretty well. Iguodala’s mentoring will help Barnes’ offensive game grow, but it will be even more valuable to Barnes on the defensive end. One of Iguodala’s strengths is his defense and his ability to guard multiple positions. 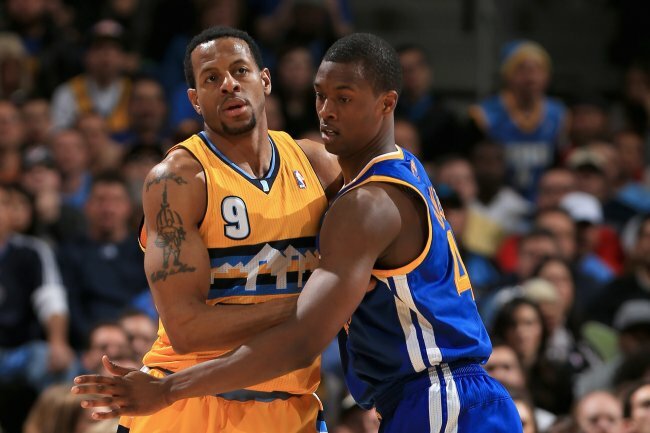 Iguodala can use his expertise to teach Barnes how to become a better and more versatile defender. In addition to his defensive prowess, Iguodala’s veteran leadership and work ethic will set a great example for Barnes. 2. With Iguodala starting, it will allow Barnes to play more minutes at the power forward position, which he excelled at in the postseason. The Warriors will most likely start Stephen Curry, Klay Thompson, Iguodala, David Lee, and Andrew Bogut. However, Mark Jackson will certainly want to utilize a smaller lineup, in order to play at a faster pace. At any point in the game or even when finishing games, Jackson could decide to use a lineup of Curry, Thompson, Iguodala, Barnes, and Lee or Bogut. With Barnes at the power forward position, the Warriors would be able to get into transition and spread the floor more. In the postseason, the Warriors thrived in these scenarios, especially because Barnes’ skillset matches up with the power forward position so well. He has great footwork in post-up situations, he’s faster than most power forwards, and he’s strong enough to keep up with bigger power forwards. Playing Barnes at power forward will benefit not just the Warriors, but also Barnes’ development. 3. With Iguodala starting and Barnes coming off the bench, Barnes will be able to play against the reserves of the opposing team, which will allow him to dominate offensively. Coming off the bench, Barnes won’t have to share as many scoring opportunities with Curry, Thompson, and Lee. Instead, he will become the go-to scorer off the bench for the Warriors. If he’s playing alongside Toney Douglas, Kent Bazemore, Nemanja Nedovic, or Marreese Speights, he will become the first option on offense. He will be able to showcase his game even more against the reserves of the opposing team. Barnes would provide that instant scoring and energy off the bench that the Warriors lost when Jarrett Jack didn’t re-sign. Instead of going up against LeBron James or Kevin Durant, he’d probably be facing the small forward or power forward in the opponents’ weaker lineup. This would allow him to take advantage of his superior speed and athleticism. In addition, when Barnes does play alongside Iguodala, Iguodala can defend the elite players like James or Durant, and Barnes can play more freely on offense and defense. Fans fear that Barnes will play less minutes now, given Iguodala’s presence, and that this will hinder his development. However, whether Barnes starts or not, he will probably play around 25-30 minutes per game anyway, because of his skillset and value to this team. Also, even if he doesn’t start, Barnes could still finish games for the Warriors, if they choose to go small, or if someone is in foul trouble, much like how Jack finished games for the Warriors last year. Barnes has incredible potential, so it’s understandable why fans could be worried about Iguodala hindering Barnes’ development. However, once the regular season starts and fans are able to see Iguodala’s game, they will see the positive impact that he will have on Barnes’s development. Even with Iguodala starting, Barnes could still have a breakout year for the Warriors next season. 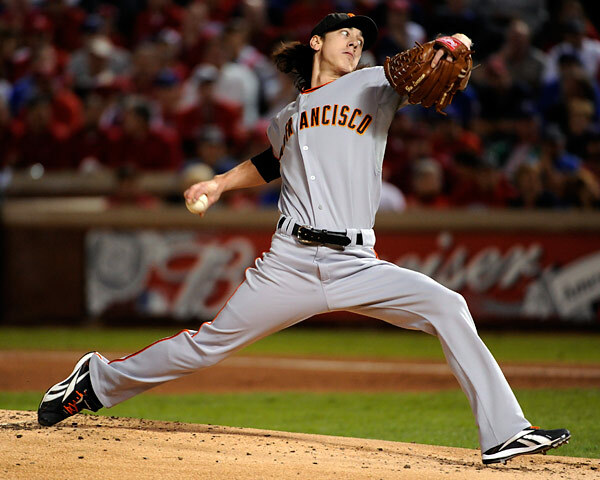 During his career with the San Francisco Giants, Tim Lincecum has experienced many highs and lows. Lincecum is a two-time Cy Young Award winner, a four-time All-Star, three-time NL strikeout champion and a two-time World Series champion. He’s certainly accomplished a lot since he made his major-league debut with the Giants in 2007. However, despite his pure dominance during his first few years in the major leagues, Lincecum has struggled in the past couple years. He showed his first signs of struggling in August 2010 when he had a 7.82 ERA. In 2012, Lincecum struggled all year with his command and finished with a 5.18 ERA. However, in the postseason last year, he reverted back to his dominant ways as a reliever. He came into this season with a new attitude and wanted a fresh start. He’s seemed more focused and has had to make several adjustments to his pitching, given his recent struggles. The biggest adjustment Lincecum has had to make is becoming more of a cerebral pitcher, since he’s no longer the same power pitcher he used to be. He’s more of a complete pitcher now who can locate his pitches and pitch according to who he faces. He’s not just an incredible athlete anymore who can solely rely on his freaky delivery and pitches to get hitters out. Back in his Cy Young Award days, Lincecum dominated using his fastball and his split, or his changeup. His mid-90s MPH fastball, his mid-80s MPH change-up and his freakish delivery were enough to confuse and baffle his opponents. His fastball is now 89-92 MPH, and his change-up is about the same speed as it was before. Given this smaller speed differential, players are now able to hit his fastball more, which is one of the reasons why he struggled so much in 2012. Players had figured out his funky delivery, and he wasn’t as unpredictable and hard to hit. Because of the adjustment that hitters have made against him, Lincecum now uses and executes four pitches: fastball, change-up, curveball, and slider. Lincecum has found a way to still dominate without the mid-90’s fastball he used to have, but his high strikeout totals still show signs of the power pitcher he used to be. In order to become more of a cerebral pitcher, Lincecum has also learned more about the importance of situational pitching, scouting reports, and finding a rhythm with a catcher. Lincecum used to just throw the pitches that he trusted the most that night, not necessarily what pitch was right for the situation. He’s learned the importance of scouting reports and not just focusing on executing his pitches. He also knows to discuss this scouting report with his catcher so they can be on the same page throughout the game. Lincecum has also struggled with his confidence over the years. In the early years of his career, he was confident with his pitches, his delivery, and his command. His confidence looked shaken at several points during the 2012 season. Lincecum would start to fall apart in the fifth or sixth inning, partially due to him facing the opposing team’s lineup for the third time around, but also because he had trouble making adjustments to his approach. He hadn’t completed his conversion to more of a cerebral pitcher yet. In 2013, he came into the season with a new attitude, and he’s looked much more confident in himself and more trusting of his pitches. Through all of his struggles with his command and with his confidence, Lincecum has always maintained a good attitude. He’s never blamed his manager or teammates, and he’s always been grateful to the fans for believing in him. This season, Lincecum had a horrendous May with a 6.37 ERA. However, he looked better in June, and, in the month of July, Lincecum has an impressive 2.53 ERA. Of course, he also threw a no-hitter on Saturday night against the Padres. Lincecum recorded 13 strikeouts, which is proof that he can still be a power pitcher at times. He also threw 148 pitches in the no-hitter. Many MLB fans and analysts were baffled by how many pitches Lincecum had to throw, but if anyone could throw 148 pitches, it’s Lincecum. His athleticism allows him to throw high pitch counts. He’s called “The Freak” for a reason. Bruce Bochy and Posey both said that Lincecum was so dominant in the no-hitter because he got stronger as the game went on, his delivery was getting better and he wasn’t trying to force his pitches to land in a certain spot. Instead, he let his pitches do the work. He also mixed his pitches well, and he had command of all of his pitches at different heights and on the corners. After Lincecum pitched two times through the Padres lineup, every hitter except Carlos Quentin had struck out. He struck out six consecutive batters from the second to the fourth inning, which matched the longest streak of his career. Lincecum induced 29 swings and misses, which tied Randy Johnson for the most in a no-hitter since 2000. He was able to keep hitters off balance, and he got batters to swing and miss on all of his pitches. This no-hitter was a special performance, given everything Lincecum has been through. Lincecum is one of the greatest pitchers in Giants’ franchise history, and he’s certainly one of the most unique. He can still be unhittable at times, but not just because of his freaky delivery. Lincecum now has a different approach, and he’s truly evolved into a completely different type of dominant pitcher.